This Glacier Bay Shower Rod Combo Kit includes a curved shower rod in chrome, a PEVA frosted shower liner , a white shower curtain and 12 double roller chrome shower hooks. The curved shower rod provides additional elbow room, allowing you to truly maximize your space. Curved Shower Rods add an elegant and luxurious look to any bathroom. Curved shower rod could expands to 48 in. to 72 in. 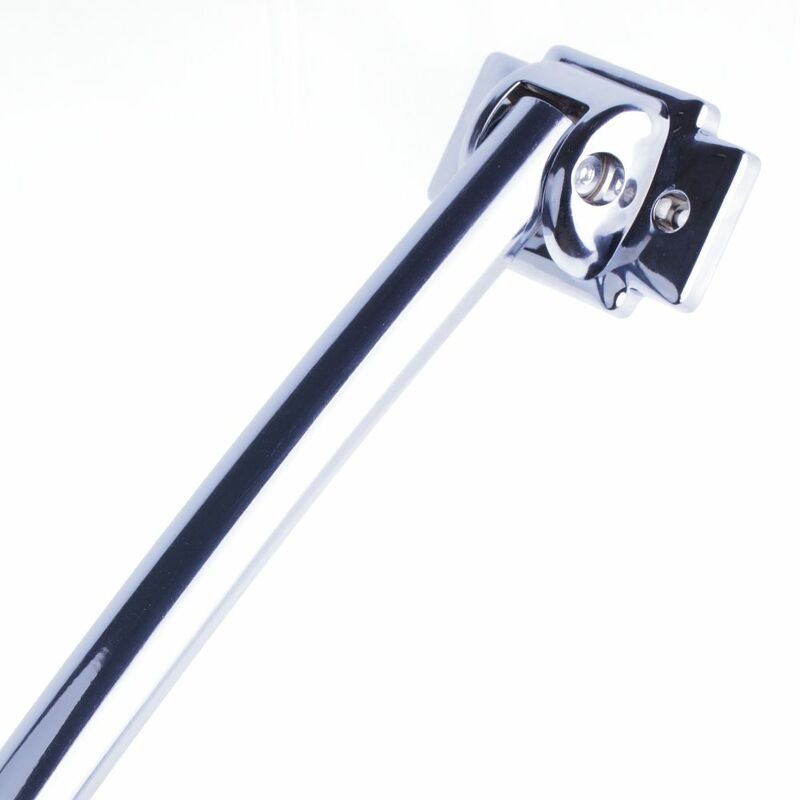 Easily renovate your bathtub with a premier shower rod constructed of solid brass. Rod can be adjusted to fit your applications by cutting rod ends. Ceiling supports recommended with use of decorative flanges. From finishes that are guaranteed to last a lifetime, to faucets that perfectly balance your water pressure, MOEN sets the standard for exceptional beauty and reliable, innovative design. Add an elegant and luxurious look while also creating a more comfortable experience in the bath with Curved Shower Rods. From finishes that are guaranteed to last a lifetime, to faucets that perfectly balance your water pressure, Moen sets the standard for exceptional beauty and reliable, innovative design. Add an elegant and luxurious look while also creating a more comfortable experience in the bath with Curved Shower Rods. This stylish shower rod is able to separate a decorative curtain from the shower liner. 48-inch to 72-inch Extendable Curved Shower Rod in Chrome with Liner and Curtain in White This Glacier Bay Shower Rod Combo Kit includes a curved shower rod in chrome, a PEVA frosted shower liner , a white shower curtain and 12 double roller chrome shower hooks. The curved shower rod provides additional elbow room, allowing you to truly maximize your space. Curved Shower Rods add an elegant and luxurious look to any bathroom.